Ahh, the immortal words of Jane Austen. A women who gave us beautifully written novels filled with love, disappointment and propriety. Pride and Prejudice is 200 years old this year. In a world where a woman’s biggest concern was marrying a man in good standing, Jane Austen chose to make her own way living by her pen. Go Jane! Pride and Prejudice holds a special place on the bookshelf of my heart. It was the first Austen novel I ever read. I remember scouting the second-hand shops, eager to line my actual bookshelf with the rest of her collected works. I gobbled them up and submerged myself into all things Austen. Those novels were unlike anything I’d ever read. And now for the embarrassing bit. Up until then my literary tastes seemed to centre around novels written within the past few decades. I was a novice with classics, though many sat unread on my shelf. It wasn’t that I didn’t want to read them – I did – but they were harder. They required more thought and the language tripped me up. In short, I had to pay attention. These were not novels you tackled whilst half asleep on the bus. Pages could fly by in a blink and I’d end a chapter thinking what did I just read? But Jane Austen finally broke through my foggy mind and captured my attention. I read her novels….. and loved them. From there it was a hop, skip and a jump to other classics and wonderfully talented authors. There’s only one bit about Jane Austen’s novels that niggles me. There’s always such a massive build up to these stories and just when you think how could this possibly all end well in the few remaining pages?, the characters see the error of their ways and it’s all happily-ever-after. The End. I remember thinking That’s it? What happens next? Are they happy? I want more! But you see that’s Jane Austen for you. All her novels end this way, but I have theory on this. Disclaimer: I stress this is just a theory, one I like to toss around when I’m feeling all melodramatic. 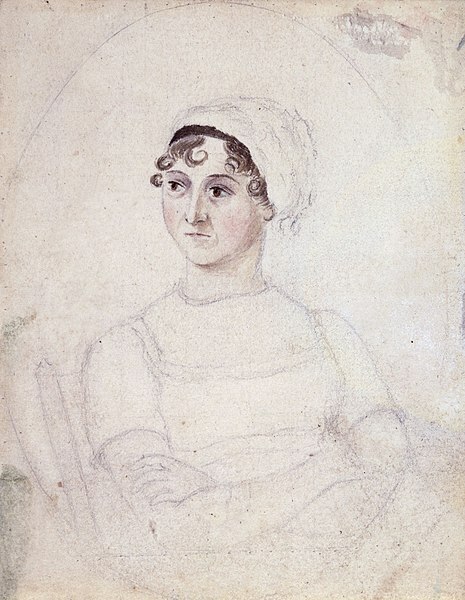 In real life Jane Austen went against the social norms and did not marry. In fact, depending on the tales you’ve heard and whether you choose to believe them or not (I’m talking the Irish fellow that is rumored to have stolen her heart), Jane really didn’t have any experience in successful happy endings. Her own ending came in the house of her brother, attached to a diagnosis that is still debated to this day. Did she choose to write her novels with great angst, misunderstanding and a quick happily-ever-after because she didn’t know how to write the happy part? Did she focus her attention on the heartbreak because that’s what she knew? Some days I like to think the answer is no. That she wrote the novels the way she did because let’s face it, it makes for better reading. But like I said, on days when I’m feeling particularly mournful, I imagine poor Jane sitting at her writing desk, scribbling out long sentences that just didn’t feel quite right because she wasn’t sure how the bit after happily-ever-after was supposed to go. Or maybe I’m just reading into it WAY too much. Either way, her novels are still some of my most favourite. What are your thoughts on Jane Austen’s novels? I am an unabashed Janeite. I adore her books. I’m always so disappointed by people who only read them for the ‘romance’ angle. She was so much more than that. She never attended any institution of higher learning, never traveled more than 20 miles from her home, and yet her novels are so insightful. She makes the most amazing observations about human motivations and attitudes. “Mansfield Park” is, I think, her best work. Well said! Sure there is romance but there’s so much more. Thanks for commenting.